One of the best novels I read in a long time! "Shepherds use religion to fight; sheep fight over religion". 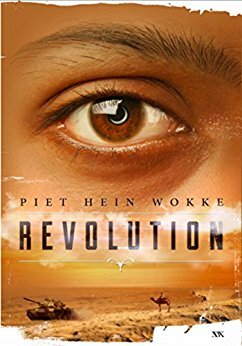 It is one of the great quotes in the novel written by Dutch historian Piet Hein Wokke (3 June 1985) who studied history in Groningen, focusing on contemporary conflicts and Middle Eastern history. Even when the book is set in a fictitious country called Beledar situated between Jordan and Iraq, the novel sheds light on many real things regarding the region while telling a captivating story in the meantime: What is the difference between the Sunni and the Shi'a muslims? Why did people call followers of Islam Mohammedans in the past and why do Muslims prefer to be called Muslims? (Because they think the term Mohammedans implies they worship Mohammed like Christians worship Christ). And when you are familiar with the history of the region you recognise elements of Jordanian and Iraqi historic facts in the tale of fantasy Beledar. The story is about two young boys: Abdullah and Khalid who are just in their teens when the story starts and when young emir Jalal (who will become King later on) takes over the reign from his father. Still children both boys have to kill someone. Abdullah is a street rat from the city who is given the chance to go and work for king Jalal. Khalid a younger son of a more or less well-to-do merchant from a desert oasis who runs away to the army with his brother and rises through the ranks. We follow both boys growing up into men and in between we see short glimpses of King Jelal who in my opinion is the real hero of the story. A king who quotes Shakespeare, is aware he is a descendant of the prophet Mohammed but refuses to believe in a God as mankind is "shortsighted, self-centered and treacherous" and no God would create a species like that in his opinion. Although an Arab lord he is more British than anything else. Stiff upper lip and all. Beledar is emerging into something more modern under King Jelal but not everyone likes that policy so under a prospering society currents of discontent are whirling. In the end it is the conscience and courage of both Abdullah and Khalid that are tested. And unlike in his youth when revenge was brought upon someone here one of them says in the end: "Retribution for an injury is equal injury. However who forgives an injury and make reconciliation will be rewarded by God" and the other man feels the eyes of the king burning into his soul again. I have the feeling the writer wants to continue the story in another book. Maybe that is one of the reasons some things are not crystal clear in the end. The writer choose sto show us a glimpse into the future of Beledar and our hero. I would have advised against that or to continue writing the whole story. Nevertheless a brilliant book that had my Muslim colleague and I discussing it. I certainly can recommend buying it. I myself was given the opportunity of an advanced copy for the Netgalley-site.